Wow i asked for it and a reader found this for us!. If you fast forward to about 23 minutes into the video they talk about solar flares then at 25 minutes into the video they show the amazing footage of the 2 ufos or comets being attracted into the sun causing a large solar flare, be good if someone could edit this as this footage is available for 4 days only. incredible stories that could spell the end of human life on Earth: decoding ancient Mayan texts, a physicist predicts a deadly super-volcano lurking beneath Yellowstone National Park will destroy the world in 2012; a NASA scientist makes an incredible alien discovery and believes a solar storm could destroy the planet; and one of the world's greatest minds makes a startling prediction about a sinister robot takeover - man and machine will merge by 2050. Depends on the distance from the lens, for a start. 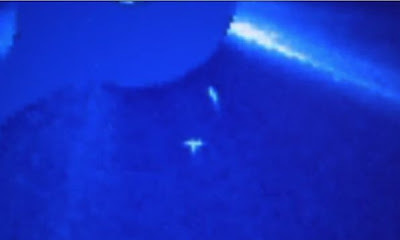 More likely, these are small particles much closer to the camera - which also would explain the erratic movement. Day 5 and Trevor is angry.